Guessing is good for now ;-). I promise I will note down the recipe & update my post when I make it the next time. Kindly let me have the recipe of " ALOO GOBHI " the photos that you have you had put up on your blob on July 9, 2007. I would realy appreciate it. I am sure that you must have noted the recipe by now. 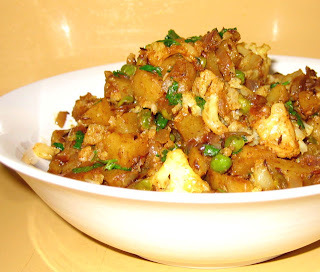 I have made aloo-gobi many times since I posted this. Never thought about this old post from 2007 though! So no "proper" recipe yet. Hope you come back to read this. 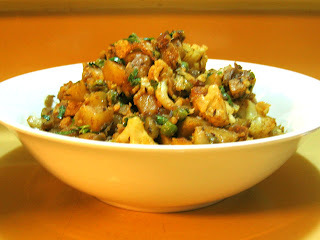 Kindly send me the recipe of " ALOO GOBHI " the photos of which were on your blob dated July 9 2007 and oblige. The photos look too..oo tempting.